While the Angel of Death passed through Egypt, the Jews were protected by the blood of the Passover lamb. God always offers mercy in the time of judgment. Speak to the whole community of Israel. Tell them that on the tenth day of this month each man must get a lamb from his flock. 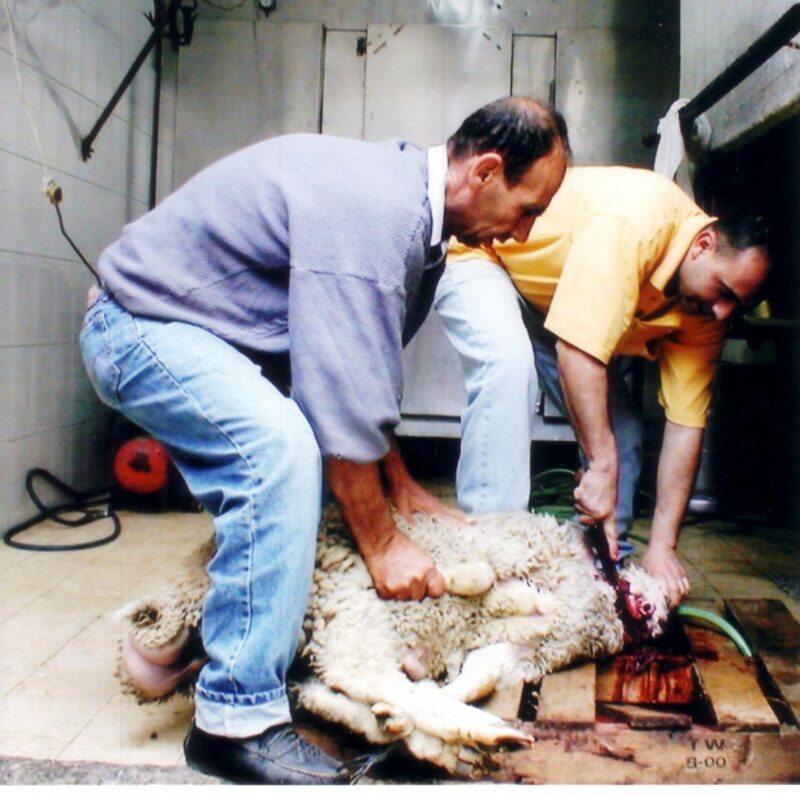 A lamb should be chosen for each family and home. 5 The animals you choose must be males that are a year old. They must not have any flaws. You may choose either sheep or goats. 6 Take care of them until the 14th day of the month. Then the whole community of Israel must kill them when the sun goes down. 7 Take some of the blood. Put it on the sides and tops of the doorframes of the houses where you eat the lambs. The lamb was killed at the bottom edge or threshold of the door. The blood was on the top, the bottom and on the two sides of the door. This made the sign of the cross! This entry was posted in Passover ( The Resurrection ) and tagged Exodus 12:3, Exodus 12:5-7.